PRIVACY – a bit of an Internet buzzword nowadays, because the business model of the Internet has now shifted towards data collection. Today, most users surf the web unaware of the fact that websites and online services collect their personal information, including search histories, location, and buying habits and make millions by sharing your data with advertisers and marketers. If this is not enough, then there are governments across the world conducting mass surveillance, and hackers and cyber criminals who can easily steal sensitive data from the ill-equipped networks, websites, and PCs. So, what’s the solution and how can you protect your privacy, defend against government surveillance and prevent malware attacks? No matter which Internet connection you are using to go online, one of the most efficient solutions to maximize your privacy is to use a secure VPN service. In this article, we have introduced two popular VPN services, TigerVPN and VPNSecure, which help you in many ways. But before talking about them, let’s dig deeper into what is a VPN, importance of VPN and why you should use one. What is a VPN & Why You Should Use It? A VPN, or Virtual Private Network, is nothing but an encrypted tunnel between you and the Internet. Once you connect directly to your VPN service, every Internet browsing activity of yours will go through the VPNs servers and blocks third parties, including government and your ISP, from snooping on your connection. Secure and Encrypted Web Browsing: VPNs enhance online security by keeping your data secured and encrypted. Online Anonymity: VPNs help you browse the Internet in complete anonymity so that no one can track the origin of your Internet connection back to you. Prevent Data & Identity Theft: VPNs encrypt all data transferred between your computer and the Internet, allowing you to keep your sensitive information safe from prying eyes and significantly reducing the risk of security breaches and cyber attacks. Unblock Websites & Bypass Internet Restrictions: VPN essentially hides your IP address, so your visits to any restricted sites do not register with the third-party, including your government or ISP, trying to block you, ensuring you enjoy the online freedom of speech. Hide Your Browsing History From ISP: VPNs stop your ISP from logging your web visit, as the spying ISP will not be able to see what you are visiting on the Internet. Multiple Device Supported: Many VPN services usually support multiple devices and work on all operating systems, such as Windows, Mac, Linux, Android, and iOS. With multiple device support, you can set up your PC, work computer and smartphone to access one VPN at the same time. Dozens of companies today sell VPN services, and you can find plenty of reviews that can help you choose one. But make sure to look for a VPN service that includes a large number of servers distributed worldwide, type of encryption, their privacy policies, speed and price. If you are looking for an excellent and secure VPN service to start with, below we have introduced two best deals from THN Store, offering popular VPNs at highly discounted prices with lifetime access. 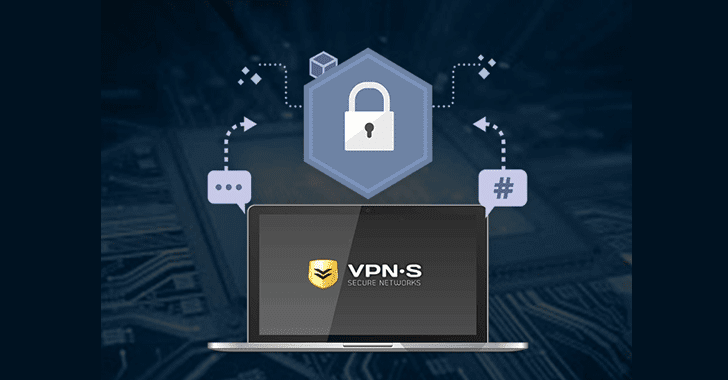 If you’re searching for an affordable and cross-platform VPN service without any bandwidth limits, VPNSecure is the one you can trust on. This premium VPN service is compatible with all operating systems, easy to use and setup offers lightning-fast connection and provides ultimate safeguards against hackers and cyber-thieves. With strict no-log record policy, VPNSecure has many servers located in more than 46 countries and counting. The VPNSecure Lifetime Subscription is available for just $34.99 at THN Deals Store—isn’t this excellent deal, a one-time flat fee for a lifetime VPN subscription. TigerVPN comes with a right mix of security, usability, and features, and supports Windows, Mac, Android, and iOS. It provides military grade encryption to make sure your entire communication on the Internet is end-to-end secure and protected. The service doesn’t allow anyone, including your ISP or the government, to monitor, target or even sell your internet activity. 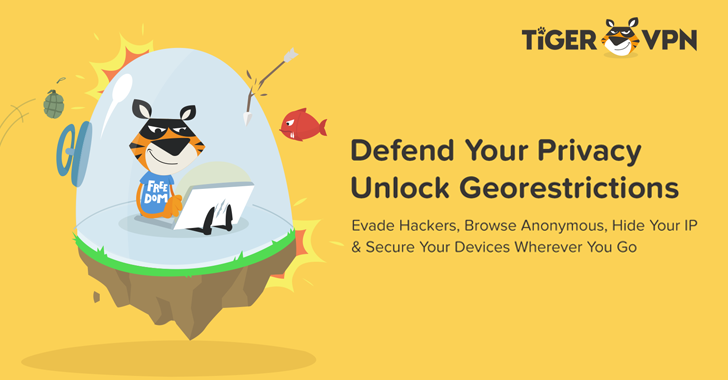 With TigerVPN, you can enjoy the benefits of unlocking geo-restrictions from content providers like Netflix, Youtube, and many others with unlimited access to 15 VPN nodes across 11 countries. The TigerVPN Lifetime Subscription is also available for just $25.99 at THN Deals Store—that’s 95% off on its real value. So, what you are waiting for? Grab your VPN Now!